*1 - Bills QBs work together during open competition *With all three quarterbacks in attendance and working out on the field, the Bills can officially say the open competition for the starting job has begun. Although they are all jockeying for the same role, Josh Allen, A.J. McCarron and Nathan Peterman have also started to build a bond between each other. For the youngest QB in the room, Allen is the farthest behind having to learn not only a new playbook, but all about his new teammates and how they play. To him, Peterman and McCarron have been helpful in setting an example on how to process all of it. 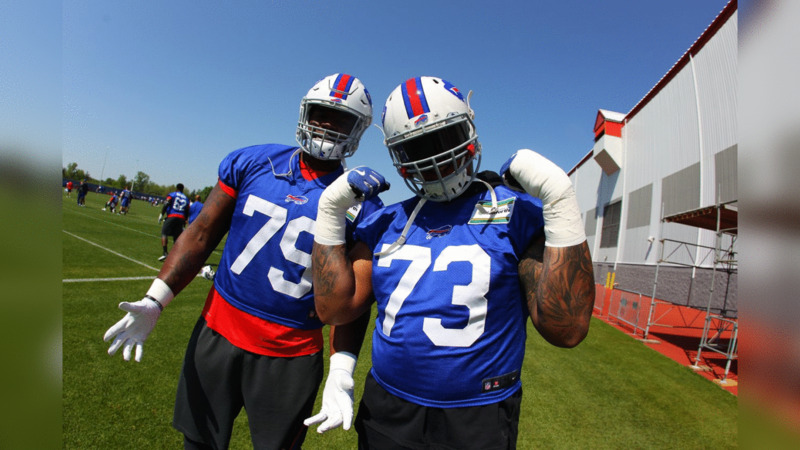 *2 - Bills’ captain excited by what he sees at the start of OTAs *It’s not what people consider a normal day in Buffalo, but the sun was shining bright on a warm Thursday afternoon for the final day of OTAs this week. The worked out on the grass fields outside the training facility, and for Lorenzo Alexander, he told One Bills Live it made for a great day. Check out photos from One Bills Drive from the Bills OTAs Day 3. Along with what he’s doing on the field, Alexander was joined by most of his teammates for OTAs, and he believes that the Bills have been bringing in the right type guys. For that, he gives a lot of credit to Sean McDermott and Brandon Beane. *3 - How the Bills are reacting to the new anthem policy *When the league announced on the new policies that would be enforced for procedure during the national anthem, team owner Kim Pegula also released a statement stating how conversations would be had with the rest of the organization on how to best respond in the future. Sean McDermott commented on what he talked to Pegula about so far, and what the future of those conversations will look like. On how McDermott will, and how he will ask his players to respond, this is what he had to say. After players left the field Thursday, Lorenzo Alexander spoke to the media regarding what he thinks about the policy changes and how it will affect him and what he does.